Hillsong UNITED made a surprise announcement today, 19th May 2017, as they released two brand new songs, 'Wonder' and 'Splinters and Stones', at download stores. The band also confirmed that their new album, 'Wonder', is to be released on June 9, 2017. As part of the surprise announcement, a lyric video for the title track has also been revealed (see below). The new album will feature 12 new songs and is available to pre-order now from iTunes, with two tracks available for instant download. "Have we lost the Wonder? ", asks the band's lead singer Joel Houston. "The hope, the imagination to dream, to believe - the tenderness to listen and lead first with mercy - the grace to empathise - the courage to trust - the fearlessness to love, without pretence or condition. To see beyond the facts without dismissing them. To respond beyond the fear without reciprocating it. To sing beyond the noise, without adding to it. This is the challenge, and this is what worship- if worship can be summed up as an expression of art and music and story - is ultimately designed to do. To elevate the conversation, re-awaken the soul to something other, and lift our eyes to the wonder of a superlative TRUTH." 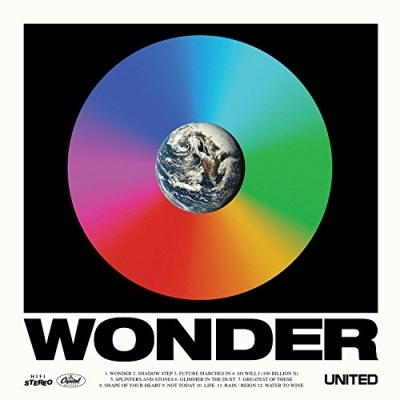 'Wonder' will be Hillsong United's sixth studio album, and follows 2015's 'Empires' release. Last year they released their latest live album 'Of Dirt and Grace: Live from the Land'.